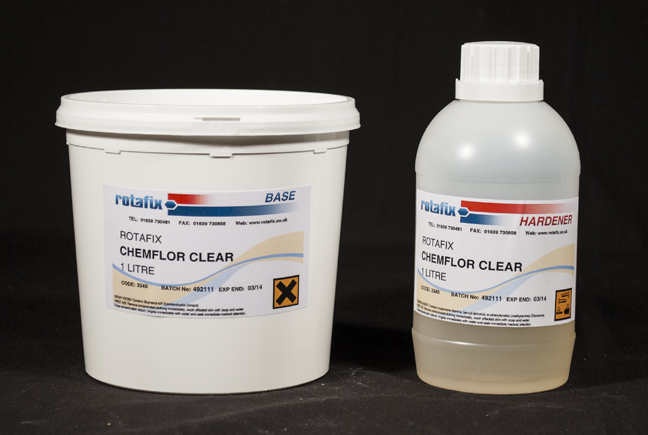 Rotafix Chemflor Clear is a 2-part unfilled low viscosity epoxy coating. Rotafix Chemflor Clear can also be used as a fast setting floor primer. Rotafix Chemflor Clear forms a hard colour stable clear finish on/over Aquachem flake system, decorative panels and epoxy screeds. Rotafix Chemflor is a heavy duty sealer suitable for timber or concrete floors.